On April 10, 1912, RMS Titanic left Southampton with 2200 passengers on its maiden voyage to New York. 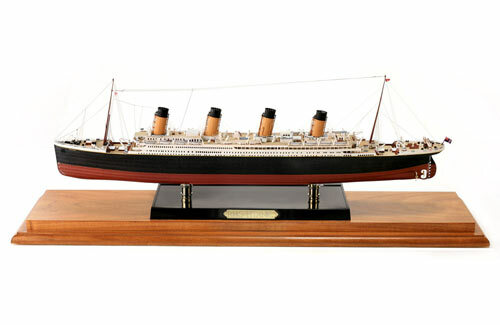 The most luxurious liner of its time was considered unsinkable. 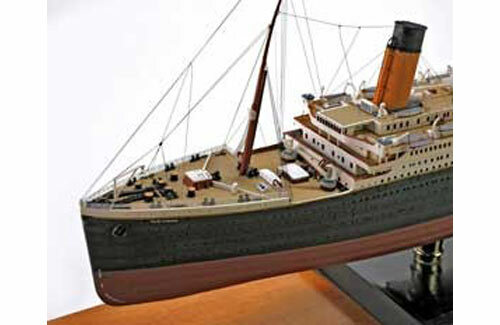 On the evening of April 14 the Titanic collided with an iceberg. Within three hours, she sank, taking 1500 passengers down with her. • Contains more than150 pieces molded. • The hull is one black piece. • Decking are cream pieces. 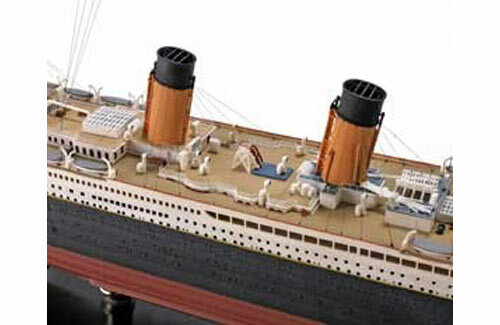 • Railings, ladders, funnels, lifeboats (etc.) are white. • Black display stand with brass-looking nameplate and pegs. • Anchors and propellers are black. • Clear pieces for vents. • Photo-Etched Brass Railings and ratines. • Chain and monofilament thread. • American or White Star Lines flag. 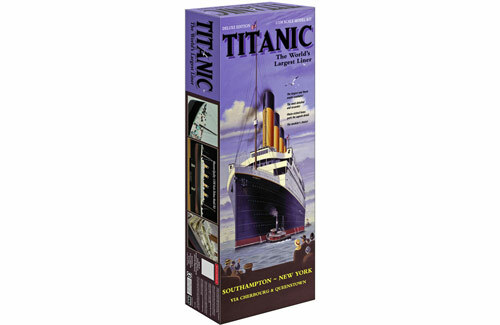 • Detailed funnels with steam pipes and ladders. • Detailed masts with ladders. • Postcard included with a picture of Titanic. • Recessed panel lines give a realistic appearance. 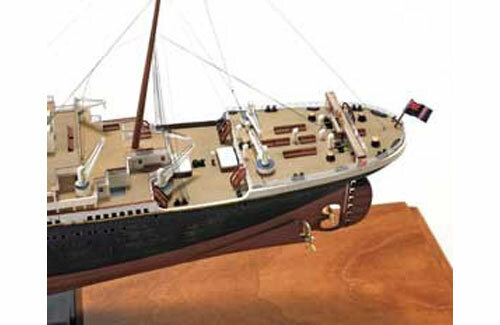 • Licensed by The Titanic Historical Society, Inc., which furnished the drawings and data. • Waterslide decal sheet included.